What’s happened in this week’s SEO Update? 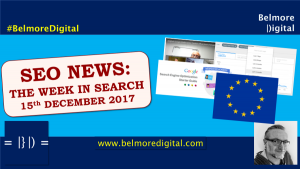 In the TWIS SEO Update 23 June 2017, there are a few exciting bits of SEO News: Google For Jobs has gone live in the US; Google Posts is live for SMBs in GMB; Google admits it takes a while to digest major site migrations; Now is the time to ditch your m-dot; Google loves snacking on breadcrumbs; as well as some terrifically transformative Bits & Pieces. Google has now launched its Google For Jobs portal, as first discussed in TWIS SEO Update 5th May 2017. 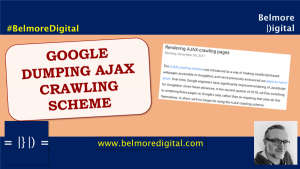 In this initiative, Google reads structured data on a web site, matches it to a listing in an XML Sitemap file and displays the results in search results for queries with “clear intent”. Currently, the listings are only available in the US. This hasn’t made it to UK or Australian listings – which may be down to the sites not being included in the development / trial program. 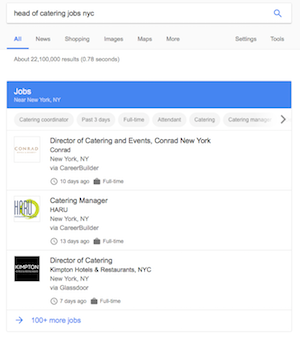 Users can click through to Google’s job portal to refine their search, click through to view / apply and set up job alerts. This complies with Google’s desire to remove clicks from search, reducing the power and traffic of portals. 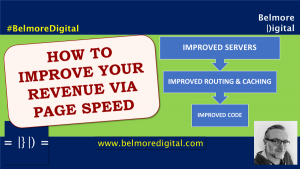 It enables quicker refinement, but elongates the ultimate click path for the job seeker. Read the Job Posting & Structured Data Guidelines at Google. Since this is a crawling and indexing action, any Job Posting pages must be crawlable. 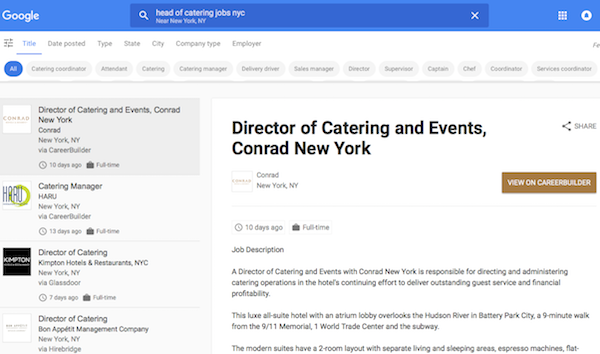 Add Job Posting structured data to the individual page for each job posting. Usually this should be a single page per job listing, likely to be the main job description. Use the Structured Data Testing Tool to test your markup. Add the Job Posting page to an XML Sitemap, and submit the sitemap to Google. Ensure the XML Sitemap is updated. Follow the guidelines for what is / isn’t acceptable as a Job Posting. Ensure that the guidelines for job posting removal are followed, especially around real jobs, jobs which require payment for application and not adding structured data to listings pages. Contact me if you would like to discuss how to ensure your job listings are seen on Google For Jobs. This is a continuation of Google’s desire to remove websites from search, in the name of improving the speed of answers to users. For the user this gives them results directly in the search interface, and allows users to effectively search multiple portals at once (let’s call it meta search). However, looking into it, once the user is in the search, carried out their refinements, and sorted applications, they still need to visit the portal website to actually do the applying. From the user’s perspective, it would be better and probably less frustrating if they were to be able to apply directly. That would reduce Job Portals to data providers effectively – something they may not be keen on. Google is relying on guidelines and webmaster honesty to surface non-spam results. 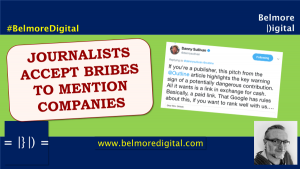 As the results will be more prominent in search, there will be a great incentive for dishonest webmasters to game this, either with fake jobs, or unrevealed pay-to-apply jobs. Even though this is something which still happens on job portals, they at least have the experience and knowledge to try and combat this – Google doesn’t in this sphere. It’s also incredibly frustrating that these features are rolled out to the US only. It can’t be that difficult to go live in more markets initially. 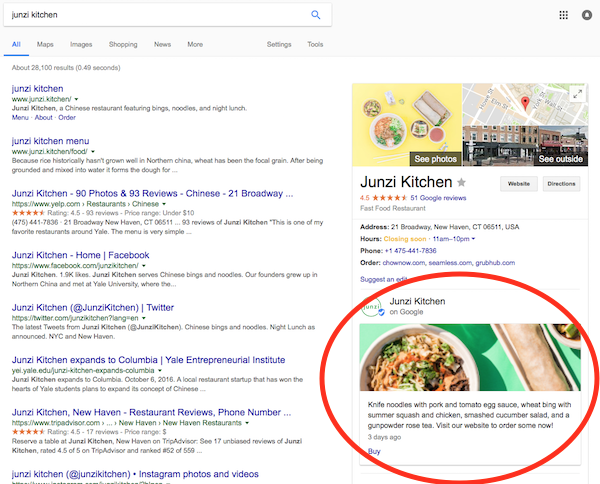 Google has released Google Posts to small businesses, allowing them to create posts which will show up on their GMB listing. The posts will show up wherever the GMB listing is generated – in the Knowledge Panel for branded search, or on click in local search. Doing this allows businesses to create promotional posts, specials posts, and also create top products type posts. By allowing a CTA & button, this allows the user to take direct action and buy / sign-up direct from search. For small business, this feature has a chance to be a killer app. As with most things Google, this may be under-used, but it has the potential to be quite powerful. Sign up for Google My Business, if you haven’t already. Even if your business is listed from scraping data, you should claim the listing and use it. Once verified, review the Help Centre information, and do the following. Click New Post in the menu (left hand side on desktop). Select a CTA & Button, link it to the right action. Save & check listing has updated. Contact me if you would like to discuss how to create Google Posts. This is likely to be an under-utilised feature of Google My Business, mainly because of inertia in getting small businesses to do things to manage these listings. That’s a shame, this has the potential to be a handy little conversion and revenue driver if used well. The challenge will be creating and maintaining these posts – especially if for limited time specials, but if users respond and actually click the “learn more” / “buy now” buttons, it will slowly take off. I haven’t seen it turn up in generic search yet, but it does show up for branded search and where the GMB listing is generated. Gary Illyes discussed at SMX, that if moving domains, or having significant URL changes, it can take Google up to 3 months to crawl, and discover all new URLs, and then digest them for the ranking algorithms. It’s not surprising, and matches my experience. Larger sites (think 1 million URLs plus) can take up to six months to be fully picked up, and even that Google occasionally doesn’t spot the new data. This contradicts Google’s “two weeks” advice – which is really only appropriate for smaller sites. If you are a larger site, adjust your expectations for how long it will take Google to react and re-index new 301 redirects. You should expect some movement within the first few days / couple of weeks, but full pick up may take 3 -6 months. Always 301 redirect everything when migrating a site, even if condensing or removing content. If moving hosts, as well as changing domains, or URLs, keep the old host alive and forwarding requests until internet DNS caches have fully cleared and re-set. Where possible, separate URL changes, IA changes and design changes as separate project phases. Contact me if you would like to discuss site migrations and how to do them well. I always love it when Google finally realises that some of its information is not always accurate. For the majority of sites on the web, the “wait two weeks” migration timing is correct – Google will pick up the redirects, re-index and take into account new designs within that time span (assuming they are actively crawling the website and old URLs 301 redirect). 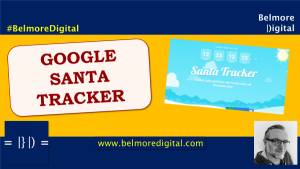 In the case of larger websites, it has always taken longer for Google to crawl and digest the new information. That is including the new URLs in the index, and interpreting changes in the site’s link graph and content graph to feed back into the ranking algorithms. Don’t forget – migrations aren;t just about 301 redirects in most instances, even though desgin change, IA change and URL change should be carried out as separate stages of a project. Google is really pushing webmasters and sites to get their mobile presence in order before the Mobile First Index is released. Your mobile pages and your desktop pages should be “fully equivalent in content & functionality” before the index is released. If you have an m-dot mobile website, you should migrate those URLs to www before the index is released. 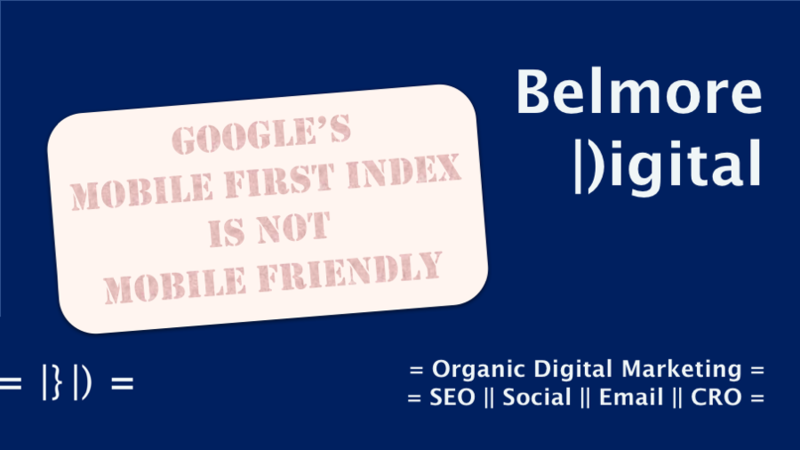 Read about how the Mobile First Index is not Mobile Friendly. Move away from m-dot to www. 301 redirect from m-dot URLs to www URLs. Align mobile and desktop content – use a Mobile First mindset to redesign any elements needed. 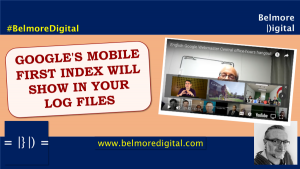 Read about the upcoming changes to the index and ranking algorithms in the post Mobile First Index is not Mobile Friendly. Use a responsive website design (RWD), but be aware that some elements of RWD are mobile-friendly, but are not mobile-first. Contact me if you would like to discuss your updated mobile first site. Moving to Mobile First is not to be underestimated as a challenge, but just because it is a challenge does not mean it should not be undertaken. 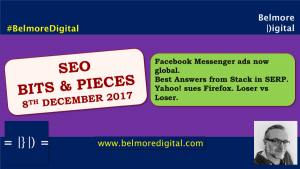 For old websites this is going to be a big upheaval – most have made some moves to mobile, but often they have put out poor-cousin versions of their desktop websites, leading to poor user experiences and frustrations one the part of users, and executives as they see difficulties with trafficking and converting mobile traffic. In this instance, there really is no time like the present. If you have a mobile-firendly website, you need to review it to make sure it is up to speed with a mobile first perspective. If you have a poor cousin mobile experience, you need to take steps now to put your mobile website in order. As discussed in last week’s TWIS SEO Update the index is likely to launch in early 2018, and it is likely to take that long to get your website sorted. 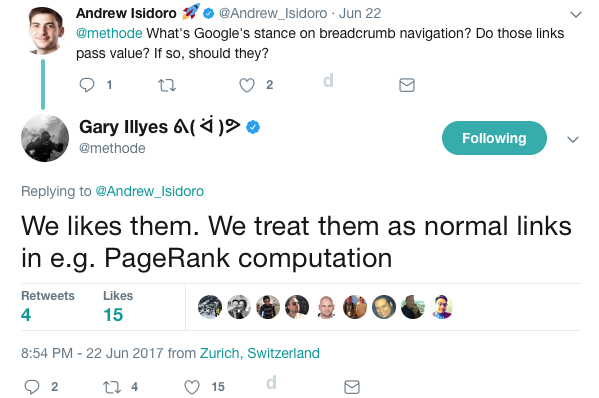 Google likes breadcrumbs, they are treated as normal links by Google. They also, if using structured markup, give additional links on Google search. Breadcrumbs are handy for users and search engines, they give structure and easy navigation to all concerned. 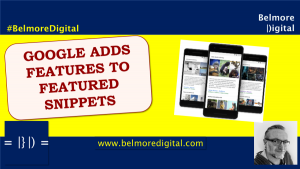 Have breadcrumbs on your site, including mobile, if you don’t already. Position them in a place that the user would find useful – top-left of the content panel is usually a good idea. Ignore any designer who complains about them. Easy navigation is always user-friendly. Make your breadcrumbs relevant to the content and the structure of the website. 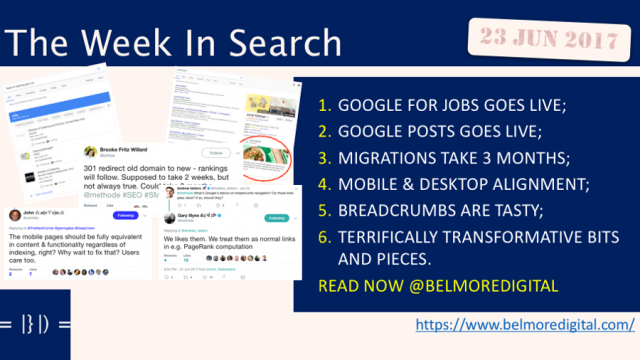 Be careful with keyword stuffing in breadcrumbs & where possible, keep the breadcrumbs brief and indicative rather than lengthy. Contact me if you would like to discuss the beauty of breadcrumbs and how to best implement them. Ahhh, the humble breadcrumb. At least Google has given SEOs some ammunition in sometimes fraught discussions with designers over these little blighters. For some reason, designers have often sought to remove breadcrumbs over the years, as designs became more responsive and fluid – they seemed to not know where to place them, or how to deal with them. Users find them useful, search engines find them useful and who knows, maybe designers will come to love them as well. You do need to be careful with keyword stuffing. If they are directly drawn from page titles without any editing, they can get a little spammy once you’re a few levels in. Where possible, edit breadcrumb display text to remove keyword stuffing after a few levels – not always possible, I know, but you would hope that CMSs would have an option to edit. This is a handy, if little simplistic, way to assess if you’re ranking drop is as a result of your own actions, widespread Google update, or even a *gasp* penalty. I disagree with the premise that a single page drop is not indicative of an algorithm change. It’s much less likely, but still possible, assuming not all pages are equal. Repeating the same path in the URL could cause googlebot to skip crawling. This makes complete sense as occasionally web servers go wild (or scripts are poorly coded) and to continue to crawl them would put both Googlebot and the website in an infinite loop of pain. 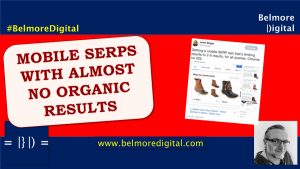 This is a long and decent enough Local SEO checklist. Most of it is good, aside from one critical element: putting all locations on a single HTML page. Yes, it’s possible for ease of use to do that, but for Google and others it is always better to have each location on its own distinct URL. Now that Google is making ads work better with AMP, at lease one big publisher is seeing big conversion uplift using AMP landing pages – 100% increase with a 10% drop in bounce rate. Food for thought. Google For Jobs is now employed deployed in the US. Time for job portals to tremble. SMBs can now use Google Posts in GMB to showcase promos, specials etc with CTAs. Google takes a long time to digest a very large site migration – less two weeks, more three months. Stop shilly-shallying around and get your mobile first site ready already. 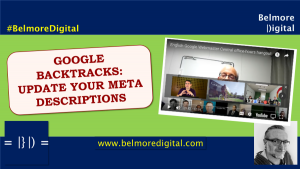 Use breadcrumbs in on-page navigation, users and Google likes them. Read the Mobile First Index is not Mobile Friendly post. It’s fun. 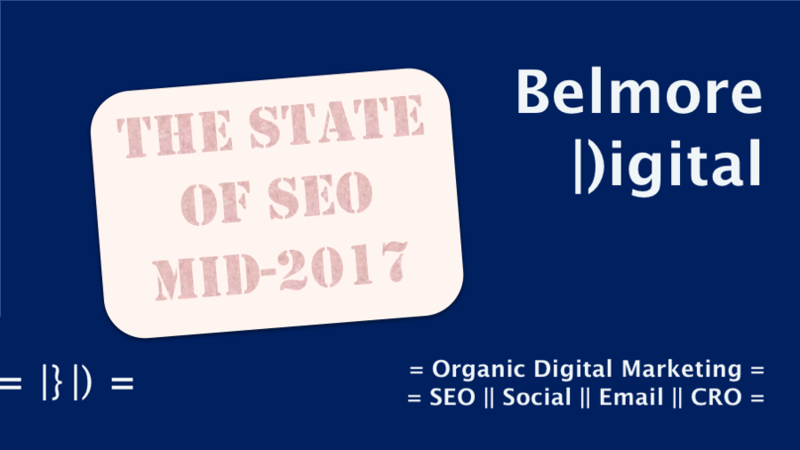 Read The State of SEO in mid 2017. It’s even more funner.